Has anyone replaced the grip on their MRAD? I'm finding the grip lacking and considering switching to an ergonomic overmold, but I'm wondering what else people are using. Has anyone tried a more vertical grip? hell would the MPA EVG work? I am not sure how often it has been done. It may be worth your while to call Barrett. They've always been amazing when I've called. I ended up replacing the stock MOE grips with some ergo overmold, just because I have it on all my AR's and I like the consistency of feel. To test it out we had some good fun at my friends Cabin. An easy 300 Meters/confidence builder right off the deck. If we go up to his barn, we can make it all the way to 750M. We had just enough wind to keep the bugs away, but not so much as to make it dicey at distance. The more I shoot this thing, the more I want to marry it. Quick PSA, and forgive me if this is common knowledge unknown to me, but if you have an older "large breech" MRAD, new production magazines (marked "A") will not work with it. The catch on the magazine is substantially further down the mag body and will not activate the mag catch of the rifle. I had a phone conversation with a CS rep at Barrett and purchased some older mags marked "338Lapua". They are not making them anymore but have some laying around. The newer "A" mags will work with your older rifle if you're using the small breech conversion kit, which is required to change calibers if you have the gen 1 rifle. Just picked up a 300 NM barrel conversion kit from EuroOptics, went with 1-10 twist 24' fluted barrel. Going to work up some load data in the next couple weeks with H1000 and 225gr ELD-M's and Peterson brass. There is another forum 300 Norma Mag on this site that has some good info and I also would recommend getting Lyman's new long range data book. The only one I've seen with Norma Mag Data. i wonder if Barrett would consider at least sell their barrel extension (i think kinda like what DTS is doing), so barrel makers can make barrels for the MRAD platform. Would make more popular. I'm sure they are a smaller company which mostly cater to militaries. Would love to get a 6.5 PRC barrel. Maybe Proof Research can do a barrel since they make them for the MRAD? (minus the extension...proprietary). I've been saving for a while and hopefully with my coming christmas bonus from work I will be able to order my MRAD. I was just wondering what cons/negatives anyone has had with their rifles or would be willing to share/give me a heads up on? I'm still on the fence between the gray and the OD green but I'm pretty sure I'm going to be getting the OD green chambered in 300wm. In the end I went 26" 1/10 HP fluted. It wil be the first MRAD .300NM done here since conversion are not imported yet. So it wil be a custom work on a barrel extension I got. It will be a long wait (Christmas earliest possible date) so in the meanwhile I am choosing brass (Peterson and Lapua) bullets (wil start testing jugs 185, flatlines 198, 200 and 215 hybrids to see what she likes most. Keep us posted @anthonylombardo! Just borescoped my 338 MRAD barrel. Its after 70 shots. What do you think what these discolorations are? It looks like copper , but i ve never shot any copper or red brass cardridges. I only shot Nickel plated bullets. RWS speed tip pro. Is this fouling or a barrel discoloration from heat? Can i clean this? With shooters choice or Eliminator it didnt work. And what do you think about the barrel condition? ^ that’s a great PSA. Thanks for posting that info! Here’s a couple pics of mine. It’s boring black...for meow. Anyone know if anyone makes the flush cup insets that fit the MRAD yet wont allow the QD swivel to rotate 360 degrees? With how the chassis clamps the barrels in the mrad, does a hog saddle affect accuracy or poi? Dunno, just got the saddle and haven’t used it yet. I hadn’t considered that it might. I kind of doubt it tho. I have been a big fan of the mrad since it was introduced. I shot one that a local gun range owner had. By far the best balanced and ergonomic bolt gun I've tried. The problem I keep getting hung up on in barrel availability. Has anyone been able to pull off what gnatmm is doing with a rebarrel job? Reusing the barrel extension? My local gun range owner tried to get someone to manufacture extensions but they are way too complicated to reproduce. I'm thinking a custom barrel might make the gun as accurate as the best out there. Ideas? No one does it as far as I know. I'd like to see some options as buying an entire new conversion kit when the barrel is done is pretty retarded. I do see the benefit in it all being one piece as you're not dealing with tolerances/variances in fitting anything together, but the fact that nothing has ever evolved from this is the one real weak point of the MRAD philosophy. My MRAD pictured above drops the magazines under recoil. I have 5 total mags, 2 that came with it and 3 I source from Barrett that are the correct mags for the older, first generation rifles, and only one magazine stays locked in. The others drop -- not completely out of the magwell -- but low enough that cycling the bolt doesn't pick up another round. I contacted Barrett and they were super nice and helpful. They're sending me a new mag catch and spring. Charged me a pittance but I didn't mind, I bought the rifle unfired but pre-owned. Has anyone else encountered this problem? Is it a recurring theme with these rifles or did I just get an out of spec catch or spring? I thought it was something having to do with early Gen 1 rifles... Myself, I have 7 mags (mix of A, b and C mags), 3 different barrels, and have had zero issues. Mine was made in 2012. Hopefully I don’t have to come up with some redneck engineering to get it to work. That's kinda good news to me. I agree 6.5 PRC would be nice. Anyone have an extra rail section they are not using laying around? Ian said he had an extra. I was wandering what if Barrett would provide the Barrel extensions and someone could then integrate it with the new Synergy arms new Chamber cylinder system... as an MRad fan I am not here to say there is a gap with DT and AI, but new Caliber introduction would be so much easier as well as barrel replacement...thoughts? That would be pretty cool, however I expect it would be easier to design a whole new bolt head and extension for the mrad than to get Barrett to part with their extensions. They like their captive barrel market. I have a good friend who started a rifle action business you have all heard of who I'm sure could do it, but the hours and dollars would never return due to shallow demand. If I had the expertise and means, I would do it for the hobby of it. After thinking about it, you may be on to something. If you could get synergy arms to create a chamber that would mate with the mrad extension you could change calibers rather easily using the same mrad extension. Not sure it is a quick procedure for changing calibers, but you could buy a chamber and barrel of your choice and screw it into the your existing extension. Mrad in a 22,6 CM, 6.5 prc, 7saum anything the mag and bolt heads allow. Thanks for the PM. How we are making rifles is, in essence, a Chamberless Barrel. We do not drill the chamber into the barrel, we attach it. This allows us to just make one modification and our system can work with any action or attachment. I would love to look at it, but we would have to work it with and through Barrett. I try not to introduce any product for anthers system without their blessing and cooperation to work together. I would love to speak with them about it and will reach out to them with a call. 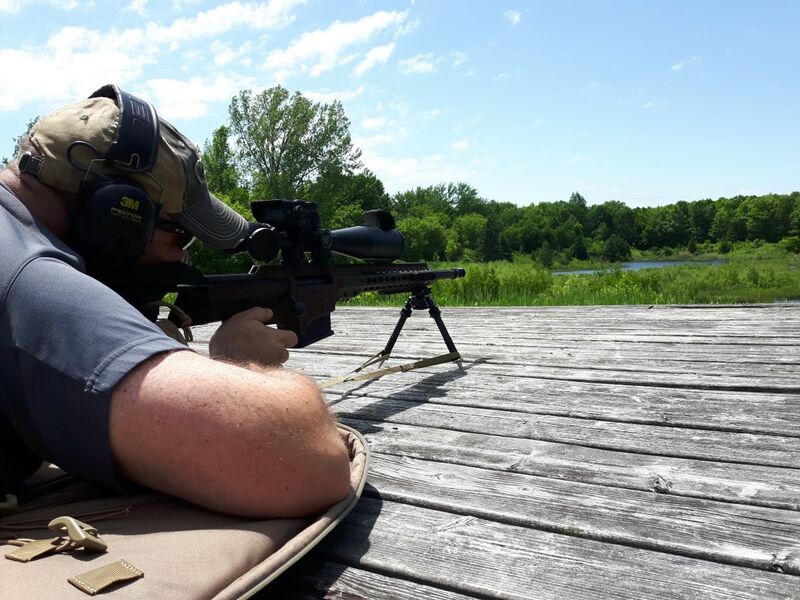 "At this time, there hasn’t been enough inquire about MRAD owners wanting 6.5 PRC barrels. Once we get enough people asking for a certain caliber, we then offer up barrel conversions. Until then, we typically only offer tactical cartridges for barrel conversion kits such as the 300 PRC. " That is hilarious, I'm sure tons of people asked about the 300 prc. A cartridge very few have even heard of. I could guarantee more people have probably inquired about the 6 creedmoor or dasher than the PRC's combined. Or how about some longer barreled 300nm? What cartridge/barrel configuration would you mrad owners like to see? I'd like a 26" 300NM, 26"/24" 6 CM, 26"/24" 22CM, and maybe some 6mm,6.5 x47 lapua. Could use a nice 7mm in the mix. 28 nosler, 7lrm. Or how about the ultimate offering.... Barrel extensions!!! 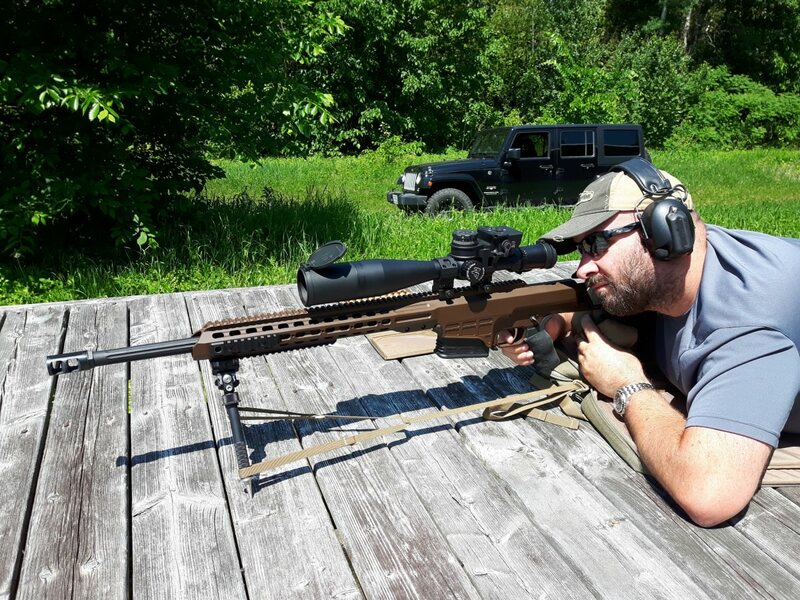 Just saying hi; Picked up 20” 338 Lapua MRAD, Leupold MK5 glass. Have not seen any accuracy results with this rifles yet...anyone have any 100yd groups with a 300 win or 338Lapua? I reached out to Barrett to talk about our system and the chamber cylinders. I will follow up if I hear anything about moving forward with them on the project. I'm jealous of your 7-35, I felt like I broke the bank when I got my 5-25. What are you planning on attaching to that top rail? Rattle can paint for the 7-35? Looks like Lowlight's sources have told him that the ASR competition may be down to the AI and the MRAD. I know who I want to win, but I wonder if the MRAD ended up being chosen would effect the aftermarket for it. Any chance someone could point me in the direction of someone interested in a barrel swap? I have a 20” 338 lapua and I’d prefer the 300WM or possibly a 308. Less than 75 rounds through the barrel. Does anyone know what the oal capacity is on a 338 magazine? Also are mrad barrels nitrided or internally coated? I've been kicking around an idea of getting a new or improved caliber barrel for the mrad by running a new reamer to chamber through an existing barrel. Obviously, you'll have to chase out all the previous chamber contours. Your also stuck with the original rifle twist. 338lm to 338lmai comes to mind. 6.5 creed to 6.5 prc or saum? If we can't get extensions, we may work around existing barrels confines.